Born and raised in Honolulu, Hawaii, Samuel K.L. Suen is a graduate of Punahou School, New York University and University of Hawaii, William S. Richardson School of Law. Prior to forming his own law practice, Mr. Suen externed with the Honorable Michael D. Wilson in the First Circuit Court, State of Hawaii while in law school. 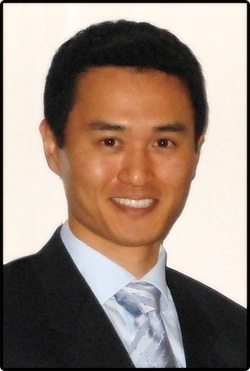 Upon graduating from law school, Mr. Suen served as a law clerk to the Honorable Randal G.B. Valenciano, Chief Judge of the Fifth Circuit Court, State of Hawaii. Mr. Suen then became an associate attorney with Kawashima Law Group where his main practice areas were in trust and probate litigation. Mr. Suen also gained exposure to the state legislative process by serving as a committee clerk for State House Representative Robert Herkes, chair of Consumer Protection and Commerce Committee at the Hawaii State Legislature. Mr. Suen is admitted to practice before all Hawaii courts and the United States District Court of the District of Hawaii, is a commissioned Notary Public in the State of Hawaii, and a licensed real estate salesperson in the State of Hawaii. Mr. Suen is a member of the Hawaii State Bar Association, American Bar Association, Hawaii Estate Planning Council, and the Probate and Estate Planning Section, Elder Law Section, and Tax Section of the Hawaii State Bar Association. A firm believer in the idea that all people, regardless of their socioeconomic status, are entitled to have equal access to the legal system and proper representation, Mr. Suen actively engages in pro bono work with Legal Aid Society of Hawaii, Volunteer Legal Services Hawaii, and the Access to Justice Room at District Court as a volunteer attorney. Mr. Suen is also a volunteer arbitrator with the State of Hawaii Judiciary's Court Annexed Arbitration Program. Mr. Suen was selected for the 2016, 2017 and 2018 Hawaii Super Lawyers Rising Stars lists. No more than 2 1/2 percent of the lawyers in each state are selected by the research team at Super Lawyers to receive this honor every year. Super Lawyers, a Thomson Reuters business, is a rating service of outstanding lawyers from more than 70 practice areas who have attained a high degree of peer recognition and professional achievement. The annual selections are made using a patented multiphase process that includes a statewide survey of lawyers, an independent research evaluation of candidates and peer reviews by practice area. The result is a credible, comprehensive and diverse listing of exceptional attorneys. A description of the selection methodology can be found at www.superlawvers.com/about/selection process detail.html.